Today blockchain allows engineers to create blocks of artificial intelligence that work together with other blocks of AI. Data remains in silos in a digital environment and there is no real incentive to share it. This results in the hoarding of consumer data which emanates from Google, Facebook, Alibaba and Baidu. Presently, artificial intelligence (AI) platforms give power to those few organizations that process a bulk of data. With sensors embedded in connected cars and devices across the Internet of Things, there is the exponential rise in consumer data generated by these devices and stored in databases. A race has begun to get this data, which invites questions on privacy. A blockchain is a decentralized, public digital ledger that keeps track of cryptocurrency transactions in a chronological order. Blockchains are considered disruptive to the financial world because no one person or body has complete control over the transactions. As a result, many consider this a more honest substitute for physical financial institutions like banks. The blockchain technology protocol was first constructed by Satoshi Nakamoto. This technology works on the principle of transparency and the intent to distribute information to all parties concerned. In this blockchain network, blocks of information are created for transactions which can be altered by anyone who has access to the blocks. This technology protocol is now being used in the field of artificial intelligence. It allows AI engineers to create blocks of AI open to other blocks of AI and work in tandem. While the technology itself is abstract right now, its potential could be parallel to that of the World Wide Web when it first started. Blockchain allows users to share information and complete anonymous transactions. This technology is gaining hype. Blockchain offers an open, shared, decentralized data layer with data access to all stakeholders. These stakeholders include entities like city governments who use this technology to evaluate traffic patterns, car manufacturers who enhance driving experience, app developers who solve queries in real time, and healthcare providers who deliver personalized services on the basis of demographic profiles and usage patterns. 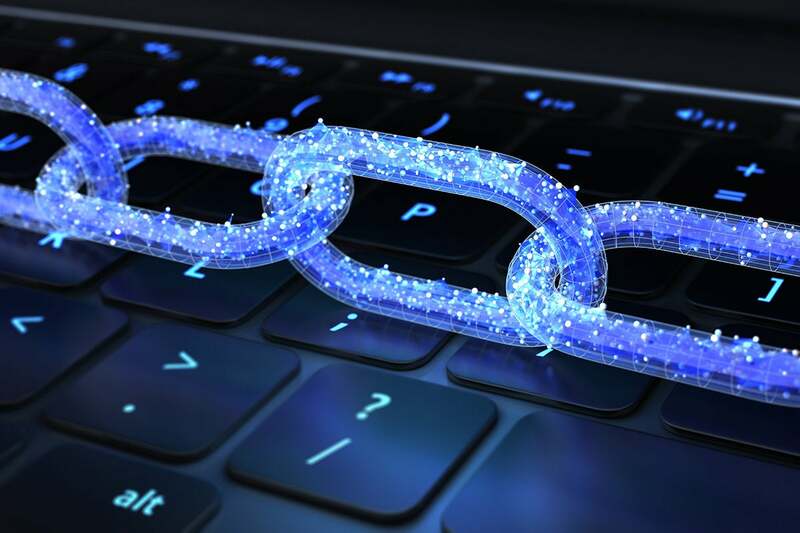 While blockchain has been trending only recently, most AI-savvy organizations have jumped into blockchains to get consistency in their analytics. Professionals are curious to know what makes blockchains so special, and therefore, enroll in an AI certification course to understand it. Not many people know the difference between artificial intelligence and machine learning. Despite this ambiguity, a lot is known and written about these two fields. The same, however, cannot be said for blockchain. Surprisingly little is known about this field. Let’s understand the nature of blockchain. Immutability: This refers to the capability of AI to evaluate more data and models and thereby enhance the worth of these models. Deep learning certainly helps in this context; it’s the result of finding when and how, if provided a detailed dataset, to begin catch interactions along with latent variables. Decentralized: With decentralized units, higher amounts of data can be processed and more efficient AI networks can be built. For example, when sharing the data amongst ecosystems or participants in a planet-scale ecosystem, such as the web. Higher the data amount, the better the models could be. Transparency: Blockchain protocols provide a tamper resistance worldwide public registry. This results in testing data and models like intellectual property assets with the copyright claim. The most interesting part is we can have factual data that can’t be altered. Consider AI technology gets into blockchains of data to get information, to discover patterns, and develop insights according to patterns. Most predictions and patterns are more accurate as compared to the knowledge mining that AI performs which uses incomplete, missing data most times. Moreover, between blockchain and AI, the fallible human elements are eliminated. Here are the examples of real use cases that point out what blockchain and AI can do together. Knowledge mining: New learners like Neuromation deal in synthetic datasets to enable a business to master neural networks, laying the foundation for smarter AIs and pocket-friendly knowledge mining and sharing. Better financial services and transactions: Using the data in blockchains, AI can evaluate different types of loan products, demographics depending on those borrowing patterns while predicting products’ type that financial institutions offer. Proven retail. AI can figure out similarities that may have been skipped through previous AI operations. For example, AI can determine that consumer transactions for guttering materials are higher in the summer. Then a big box home retailer will raise stock in those materials. Here Blockchain may show that the high demand for ladders that relate to purchases of guttering materials. Blockchain technology is in use to validate citizenship in different regions, where birth records are not present. Similarly, it can monitor the migration of people, groups, and the percentage of terrorist health issues depending on those movements. As AI gets this information, predictions become faster that help government agencies make better decisions regarding immigration policies and health concerns. The main concern of Artificial Intelligence is with understanding the hidden patterns in Big data resulting in autonomous machines whereas blockchains have the primary concern with accurate records management, security and relevance. Data sharing is the first benefit of blockchain for AI. As AI is associated with data, blockchain becomes a gateway that leads to secure data transfer over the internet. A lot of processing time is what it saves between the points where the data is evolved and evaluated. Self-operating devices have autonomous nature, therefore, needs secure inter-device communication, one of the other problems that blockchains can solve. Moreover, blockchains ensure that the data authentication on which AI models depend. The nature of machine learning models is “Trash In, Trash Out” – if there is any compromise over data used to develop the model, then the model results won’t be beneficial. Blockchain technology delivers relevant data that has been checked by various people prior to its movement into a block. It cannot be changed and is available publicly. It is highly relevant than data that is delivered on unproven platforms with embedded errors. Blockchain offers a trustworthy information source to retailers, governments, businesses, financial institutions, non-profits, health and educational organizations, scientific researchers thus enabling informed decision making. Stephanie Atkinson is the CEO and founder of Compass Intelligence and has worked in the tech industry for more than 15 years, providing thought leadership, executive insights, market intelligence and consulting services in the enterprise mobile and high-tech markets. She holds a bachelor of science degree in industrial distribution from the College of Engineering at Texas A&M University and an MBA with a concentration in management of technology from the University of Texas at San Antonio.